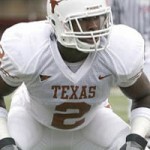 The Texas Longhorns moved up one more spot to No. 7 in each poll. Exclusive inside-the-team & recruiting info: ‘Q’ package struggles, Vince Young’s psyche, much more. 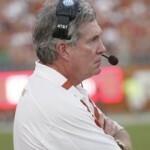 Mack Brown has never worked a team this hard for an ‘open’ date in the schedule. IT’s Ross and Bill tackle the two Longhorn issues that have made the most headlines: Ike and Vince. 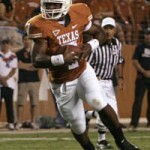 Former Longhorn QB and NFL Europe star James Brown answers your questions. 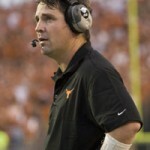 Defensive coordinator Will Muschamp evaluates his unit as the Horns prepare for Arkansas. IT talks with the junior LB about finally being healthy, halftime adjustments and more. 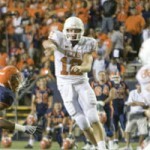 Former Longhorn standout’s thoughts on the Horns’ 42-13 win over the Miners in El Paso. On Monday, DT Lamarr Houston gave a public apology for his DWI arrest. 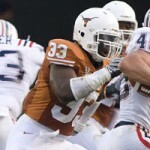 Whittaker’s debut earned him tri-starter status when Texas released its depth charts Monday.